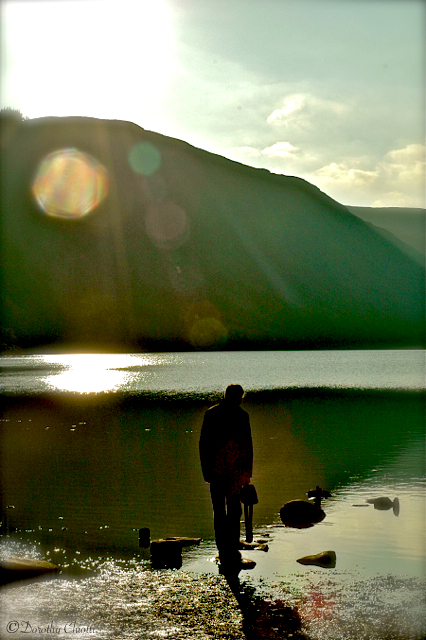 By still waters at Glendalough, Co. Wicklow, Ireland. This entry was posted in Photography, Travel, Weekly Photo Challenge and tagged Dorothy Chiotti, Glendalough, Ireland, monochrome, mountains, Photography, postaday, Travel, water, Weekly Photo Challenge. Bookmark the permalink. Thank you … It was late afternoon and the light so beautiful. One of my favorite memories of Ireland.